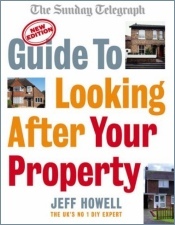 Jeff Howell, the property doctor is also the author of three fantastic books to help you maintain your property. You purchase the book directly from the website. 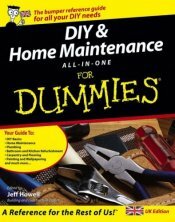 DIY and Home Maintenance for Dummies All-in-One, UK edition. 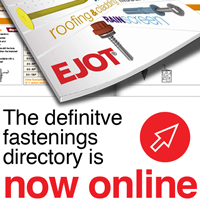 With lots of simple and idiot proof instructions that can help improve your home with-out needing to get a local tradesmen in. 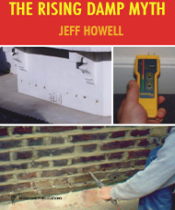 This is a great book written by experts such as Jeff Howell, to help you easily understand how to do everything from fixing a leaking tap to full scale refurbishments. The Sunday Telegraph book of house and home building, maintenance and renovation. If you’re regular reader of my website and Sunday Telegraph articles, you will love this book! to purchase Jeff Howell’s books simply add to cart using the button below and scroll to the bottom to checkout. This book is indispensable reading for house-sellers, buyers, surveyors, property professionals and construction students. It describes how “rising damp” has been promoted as a marketing device by the chemical damp-proofing industry, and explains the simple steps that every home-owner can take to make sure they are not bamboozled by surveyors or ripped-off by damp-proofing companies.